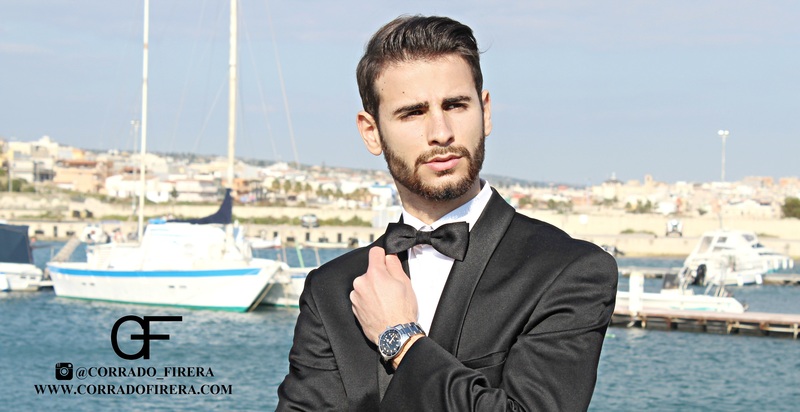 Hi my dear readers, even today I’m here with you with a new interesting article on one of the must have garment of the XXI century, the tuxedo. In particular, have you ever wondered why you call it so or where it was born? but especially when, how, and for what occasions to wear a tuxedo? According to an American story the tuxedo was used for the first time by a tobacco entrepreneur Griswold Lorillard to go to the Tuxedo Club in New Jersey from which it took the name “Tuxedo” or “Tux”. According to an English story, instead, the tuxedo was born in the nineteenth century in order to protect clothes from smoke, and was used among gentlemen of the time in smoking rooms where they met to discuss and drink cognac. To date, the origin of this garment is still uncertain and contended, but one thing we are sure, the tuxedo has become today a dress code for gala events, of any kind, from formal or diplomatic dinners to the most important ceremonies like a wedding. The tux is an evening dress that comes to think of the bon ton, should not be worn before 18:00, in fact I wore it during the day to see better the details in the photos. A tuxedo can be combined with a tie or a bow tie, I personally preferred the second, strictly black, while the shirt must be white, as accessories is good even just a watch or you risk going off the subject, if you want, even more classy is the white pochette in the pocket like tradition. Also important is the fabric of which our tuxedo is made, which is why you avoid wool in summer and cotton in winter to not look out of place. Naturally, if it is particularly cold, no one forbids a coat like I did, but strictly black or gray. – Wear the tuxedo before 6.00 pm. – Wear Pair of white shoes. – Wear too many accessories. – Wear short or flashy colored socks. Always remember that details make the difference, so you never forget anything! Thanks for reading the article, if you found it interesting share it with the social buttons below and subscribe to the newsletter to stay updated about my next articles.